- You get two stories for your money, here. Terror Of The Autons also throws The Master into the mix, and its a cracking yarn, with plenty of imagination and some significant attempts to scare. But Spearhead From Space is better. 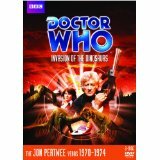 Pertwees first story, its an alien invasion story of real skill, and the Autons from the off make compelling monsters. Pertwee was, inevitably, still finding his feet in the role here, and the effects dont date well, but its a smashing adventure nonetheless. 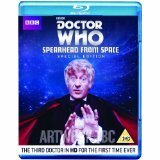 Originally shot on film, Spearhead in Space has now been restored for HD and is the first Classic Doctor Who story to be released on Blu-ray. Starring Jon Pertwee as the Doctor, the TARDIS arrives on Earth in the middle of a meteorite shower and the Doctor is found by UNIT troops and taken to a nearby hospital. The Brigadier is faced with having to cope not only with the mysterious meteorites but also with Ransome, an ex-employee of a local plastics factory, who claims he has seen a walking mannequin. Bringing together the trio of adventures featuring Doctor Whos most famous underwater foes, the Beneath The Surface boxset has Sea Devils, Silurians, and adventures from both the Jon Pertwee and Peter Davison eras. The two Pertwee adventures are terrific, though, and the real highlights of the set. 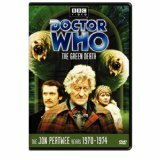 The Silurians finds Jon Pertwee relatively new to the role, and blessed with an adventure that boasts excitement, adventure and a very good script. But our favourite is nonetheless the second story, The Sea Devils, which also brings Roger Delgados take on The Master into the mix. Its a tense, involving adventure, and one of the finest of the Jon Pertwee area. Thats not something to be said lightly, either. DOCTOR WHO  THE MONSTER COLLECTION: The Silurians contains two exciting stories! 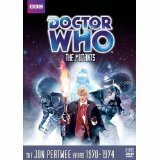 DOCTOR WHO AND THE SILURIANS is a seven-part adventure from Jon Pertwees first season as the Third Doctor in 1970. 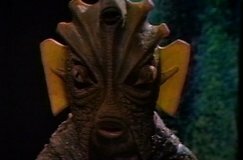 It introduced the Silurians to the series for the first time. THE HUNGRY EARTH and COLD BLOOD saw the return of the Silurians to Doctor Who in 2010. With an updated look, here they fight the Eleventh Doctor, played by Matt Smith. Another adventure for the third incarnation of the famous timelord. The action this time takes place on Earth, with the Doctor (Jon Pertwee) coming up against all kinds of opposition within the British space program when he attempts to investigate some mysterious messages travelling to and from the returning spaceship Mars Probe 7. When the ship's astronauts arrive back home, suspicious circumstances prevent the Doctor from speaking to them, which only makes him more determined to get to the bottom of the matter. Another adventure for everyone's favourite Time Lord. Still chafing at his exile to the planet Earth, the Doctor (Jon Pertwee) is called in to observe the Inferno drilling experiment of Professor Stahlman. Stahlman's search for a new form of energy goes horribly wrong when a green slime emitted from the drill site transforms any who come into contact with it into primeval monsters. You get two stories for your money, here. Terror Of The Autons also throws The Master into the mix, and its a cracking yarn, with plenty of imagination and some significant attempts to scare. THE MASTER is a dangerous, power-mad Time Lord and one of the Doctors deadliest foes. He brings death, danger and chaos to every story in which he appears. 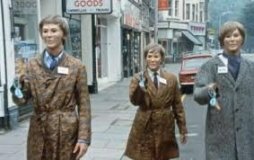 TERROR OF THE AUTONS is a four-part adventure first shown in 1971. This story, with Jon Pertwee as the Third Doctor, introduces the Master to Doctor Who. THE END OF TIME is a two part-story first shown in 2009/10. It is the last story to feature the Tenth Doctor, played by David Tennant, and sees an unstable Master unleash a deadly plan. Another adventure for everyone's favourite Time Lord. The Doctor (Jon Pertwee) and Jo (Katy Manning) travel to Stangmoor prison to investigate a machine which can remove evil from the minds of criminals. However, the man behind the scheme - Professor Kellerman - is in fact the Doctor's arch-nemesis, the Master (Roger Delgado), and is planning to disrupt a United Nations peace conference. Inside the Master's machine is an alien parasite which can make people see their greatest fears, and is growing stronger all the time. Can the Doctor stop both the Master and the unearthly parasite? This six part story was originally broadcast in colour, but only a black and white print remains. However, as a bonus, the only colour footage left is included on the end of the video. It all appears too good to be true  so what secrets are the Axons hiding on board their ship? And why is the Doctors old enemy the Master involved? In the peaceful village of Devils End something very strange is happening. A professor is preparing to open a nearby burial mound and a local white has foresees death and disaster. Meanwhile, the new vicar looks suspiciously like the Master and he is using black magic to conjure up an ancient Dæmon. Can the Doctor, Jo and UNIT stop their old enemy before he succeeds? On Earth in the 22nd century, Daleks have enslaved the planet and humans live in fear of their masters. Meanwhile, back in the 20th century, a peace conference is urgently needed to prevent World War Three. When reports reach UNIT of a ghost at Auderly House--the site for the conference--the Doctor and Jo decide to investigate. Danger is waiting for them there, including a trip 200 years into the future without the Tardis. In the four-parter 'The Curse of Peladon' (1972), the Doctor (Pertwee) finally seems to have escaped his exile to Earth when he manages to transport Jo (Manning) in the Tardis to the planet Peladon. The pair are mistaken for Earth delegates at a conference to decide whether Peladon should join the Galactic Federation, and discover that someone is attempting to use the legendary royal beast of Aggador to trigger off a war. Beneath The Surface Boxset - Bringing together the trio of adventures featuring Doctor Whos most famous underwater foes, the Beneath The Surface boxset has Sea Devils, Silurians, and adventures from both the Jon Pertwee and Peter Davison eras. 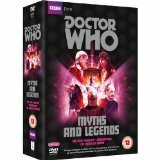 Myths and Legends Boxset - A collection of classic Doctor Who episodes featuring Tom Baker and Jon Pertwee in the role of the Doctor. In the six-parter 'The Time Monster', a new invention to transport matter through time creates a number of disturbing distortions in the temporal fabric. The Doctor (Jon Pertwee) investigates, and soon finds himself up against his nemesis, The Master, in a battle to control a powerful sacred crystal. For this third collection, then, the stories selected come from three different eras of the famous Time Lord. Patrick Troughton headlines The Tomb Of The Cybermen, Tom Baker is the Doctor in The Robots Of Death, and Jon Pertwee is joined by William Hartnell and Troughton again for The Three Doctors. Made to mark the series' tenth anniversary, Doctor Who: The Three Doctors finds Jon Pertwee's Third Doctor teaming-up with the Patrick Troughton and William Hartnell incarnations to battle a universe-threatening foe. Omega (played by an excellent Stephen Thorne) is the Timelord who gave his race the power necessary for time travel. Long presumed dead he is actually trapped in an anti-matter universe inside a black hole, and is scheming an epic revenge. 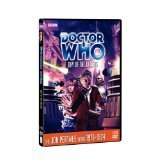 Special Editions of three classic Doctor Who DVD releases - The Seeds of Death, Carnival of Monsters and Resurrection of The Daleks. Remastered. Repackaged. Reappraised. 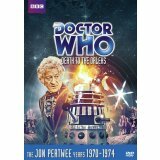 Featuring two six-part Jon Pertwee adventures involving one of the Doctors greatest nemeses. Packed with a host of fantastic special features, this four-disc box set contains Frontier in Space and Planet of the Daleks. Frontier in space - When the TARDIS accidentally brings the Doctor and Jo aboard Earth cargo ship C982, they find it under attack. 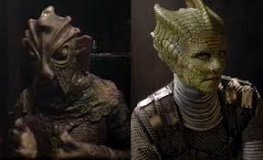 The crew perceive the Doctor, Jo and the attackers as Draconians, whose empire currently rivals Earth's for control of the galaxy. But the Doctor and Jo see only Ogrons - brutish, simian mercenaries who steal the cargo, including the TARDIS, and head off into space. Planet Of The Daleks - Injured after a shoot-out between his old nemesis the Master and the Ogrons, slaves to the evil Daleks, the Doctor sends a message to the Time Lords, asking them to pilot his TARDIS and follow the Daleks to their new base. After he slips into a coma, it falls to his assistant Jo Grant to explore the planet where the TARDIS finally materialises. She meets a party of Thals and is left in hiding aboard their crashed spaceship while they go to the Doctor's aid. On his recovery, the Doctor learns of their mission to destroy a party of Daleks sent here to discover the native Spiridons' secret of invisibility.Not only must the Doctor contend with the Daleks' new scheme, but he must try to stop them unleashing a plague that will exterminate all organic life. When a rescue ship of Thals arrive, they bring with them darker news still - somewhere on Spiridon 12,000 Daleks are waiting to emerge and take what they believe is their rightful place as the Universe's supreme beings! 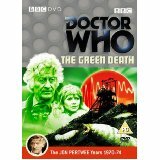 Featuring the third incarnation of the Doctor Jon Pertwee's patriarchal renaissance man The Green Death is a solid addition to the Doctor Who canon. 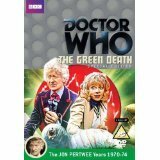 Originally broadcast in May 1973, it may now have dated a little, with its vegetarian hippies and "boyo" Welshmen, but it has all the elements of classic Who, the Doctor encountering green-glowing dead bodies, a shadowy mastermind, a global conspiracy, brainwashing, a megalomaniacal supercomputer and, of course, giant maggots. Another adventure for everyone's favourite Time Lord. UNIT is called to a sleepy mining town in South Wales to investigate the mysterious death of a miner in an inactive pit. The Wholeweal environmental community believe that a local chemical company has something to do with the death, and when the Doctor heads a mission down the mines he discovers thousands of maggots surrounded by poisonous slime. Further investigation at the chemical works reveals the owner to be under the malign influence of a sentient computer, BOSS. Dating back to the mid-1970s, and starring Jon Pertwee in the title role, The Time Warrior is a superb part of Doctor Who's back catalogue, and is every bit as enjoyable today as it was back then. 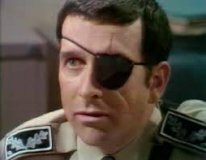 Notable as much for introducing Elisebeth Sladen's iconic Sarah-Jane Smith to Doctor Who, The Time Warrior finds UNIT investigating the disappearance of a number of their top scientists. Soon, it appears that it's a Sontaran (surely one of the classic Doctor Who villains) to blame, who has been kidnapping said scientists and dragging them back in time. And it's up to the Doctor and his new companion to get to the bottom of it all. DOCTOR WHO  THE MONSTER COLLECTION: The Sontarans contains two exciting stories! THE SONTARANS are a short, battle-loving race from the planet Sontar. Bred for war, these cloned creatures have produced one of the most powerful armies in the universe. THE TIME WARRIOR is four-part adventure from 1973/74 and marks the first appearance of the Sontarans in the series. Jon Pertwee stars as the Third Doctor. THE SONTARAN STRATAGEM and THE POISON SKY was first shown in 2008 and brought the Sontarans back to the new series to fight the Tenth Doctor, played by David Tennant. 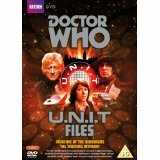 U.N.I.T Files Boxset - The Third Doctor faces ravenous prehistoric monsters in deserted London, while the Fourth Doctor battles robot duplicates in a strange village  but are the forces of UNIT friends or foes? Find out in these classic adventures! Starring Jon Pertwee. Returning to London the Doctor and Sarah find a city almost completely devoid of life. The civilian population has been evacuated in the wake of an unimaginable event: somehow Dinosaurs have returned to terrorise the Earth. A power failure in the TARDIS draws it off course, and the Doctor and Sarah Jane Smith end up stranded on the bleak planet of Exxilon. They soon meet members of an Earth expedition in a similar situation. In the six-parter 'The Monster of Peladon' (1974), the Tardis arrives on the Planet of Peladon half a century after the Doctor's first visit. The planet has now become of great tactical importance because of its focal position between warring factions. The Doctor and Sarah (Elisabeth Sladen) have to act as peacekeepers between rival ambassadors and they must also find the truth behind 'the spirit'. At a Tibetan retreat in the English countryside, a group of men are using ancient meditation rituals to tap into a mysterious alien power. They unwittingly create a bridgehead between Earth and Metebelis 3, a planet where the Two Legs are oppressed by giant spiders. The creatures are desperate to recover the blue jewel that the Doctor gave to Jo Grant as a wedding gift.